If you run your own small or medium sized business you will be familiar with the stress and time that is consumed when you need to provide your tax returns to HMRC (HM Revenue and Customs). When managing your accounts is provided as an after-thought you are likely to make mistakes and important exemptions or expenses can become overlooked. JA Book Keeping Services want to help you to successfully manage your financial administration successfully and ensure that you are not penalised for providing information to HMRC that is not accurate. We will work alongside your business to provide a bookkeeping and account management service that suits you. 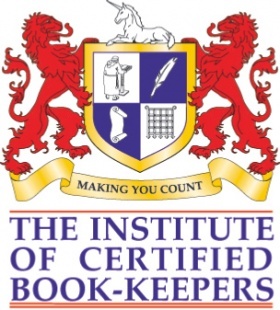 JA Book Keeping Services offer accountant services in Perth and Perthshire. We understand that each business is unique and that each company has different requirements when it comes to bookkeeping and financial management. Our experienced accountants offer a personal service which is tailored to fit into your business. Whether you need advice in implementing an efficient system for you to manage yourself or you want us to take control of your bookkeeping and tax returns completely, we can provide a package that is affordable and convenient to you. JA Book Keeping Services offer our bookkeeping and financial management services to a wide range of businesses throughout Perth and Perthshire. Our helpful and experienced team can design a system to work for you so that your tax returns no longer remain a struggle. Contact us today for Accountant Services and Tax Returns in Perthshire. If you want to take advantage of our individually tailored bookkeeping and accountant service, please call us today on 07754 013533 or use our contact form to forward your details.